This post contains an affiliate link. If you make a purchase, I will get a commission at no extra cost to you. As we prepare for another Christmas, I am feeling super nostalgic. This is my favorite time of year. The cool weather, the snow (well, hopefully the snow! ), being with family. Now that I’m a mom and have a family of my own, I love the idea of starting family Christmas traditions of our own. When I was a child, every Christmas Eve, we were allowed to open one gift from under the tree. Christmas morning, we would go into the living room and unwrap all our gifts. Then my mom would make Pillsbury cinnamon rolls. At the time, I remember being excited for a sweet treat for breakfast. Now, I think, “genius move Mom. Easy, quick breakfast.” We would hang out and then go to my Mamaw and Papaw’s for a huge Christmas meal! Volunteer with your family. It’s so important to my husband and I to show our children how fortunate they are to have a warm home and all the necessities. Volunteering is a great way to have family time and help others. Here are some fantastic volunteer ideas! Christmas Break fun! Check out all these ideas to have an eventful Christmas Vacation with the family. Christmas Eve Pajamas! Every year, our kiddos get new pajamas. We put them on and then watch a Christmas movie with hot chocolate. We love this tradition. My husband insists that even when our girls are older, we will ALWAYS do this! Invite someone to spend Christmas Eve with you who would normally spend the evening alone. How great of an idea is that? 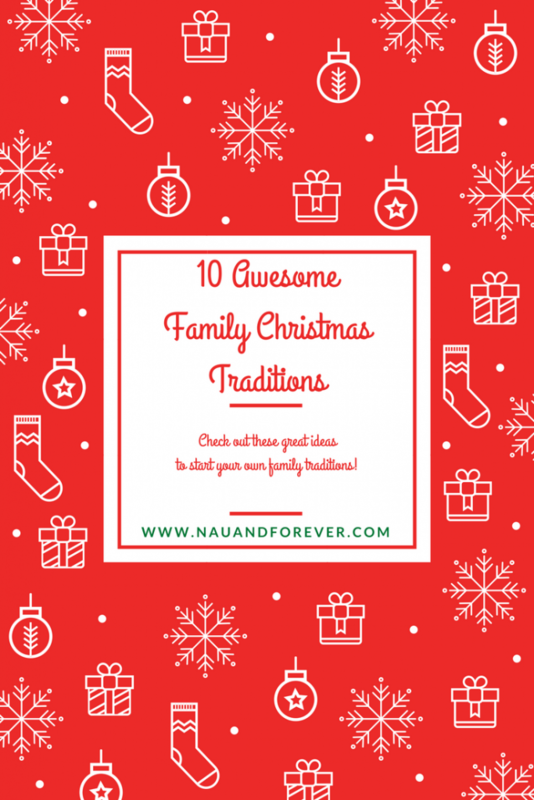 Livingly has even more awesome tradition ideas here. Christmas Eve church service. I love taking the family to Christmas Eve service so we can be reminded of the reason for the season. Birthday party for Jesus. One of the sweet ladies in my women’s group said that every Christmas Eve, they would bake a cake and sing “Happy Birthday” to Jesus. 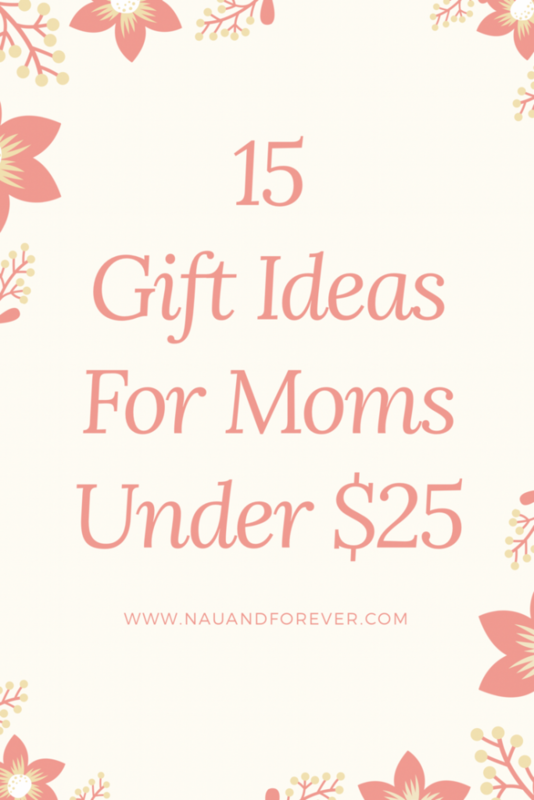 Here are some ideas for birthday gifts for Jesus. “Just the parents” Christmas tradition. I love this idea. Life is so super crazy, especially this time of year. How nice would it be to start a tradition between you and your partner of putting the kids to bed early and staying up watching one of those holiday movies that the kids can’t watch. Love Actually for mom or Die Hard for dad. December Picture Book. You know you are going to be taking lots of pictures of all your family holiday adventures. Why not put them altogether in a photo book. 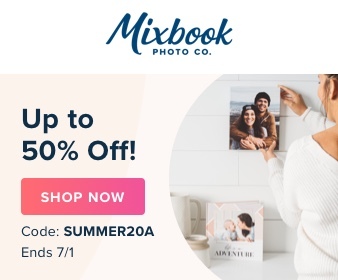 Make Custom Photo Books at Mixbook each year so you can look back on all of your special memories. The Christmas Story. Have everyone get their pajamas, light a fire, and read “The Christmas Story” before heading to bed. 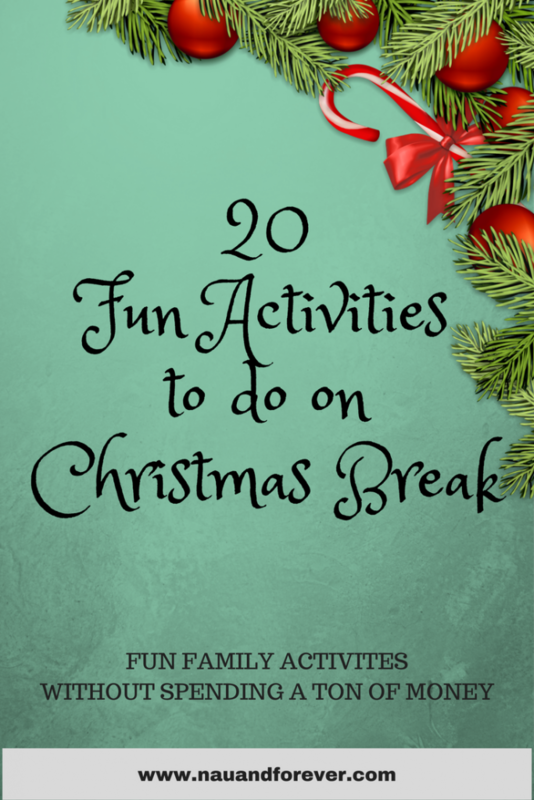 20 fun family activities to do on Christmas Break without spending a ton of money. Disclaimer: this post contains affiliate links. When you make a purchase, I may make a commission. Looking for some adorable gift ideas for your sister, best friend or coworker? 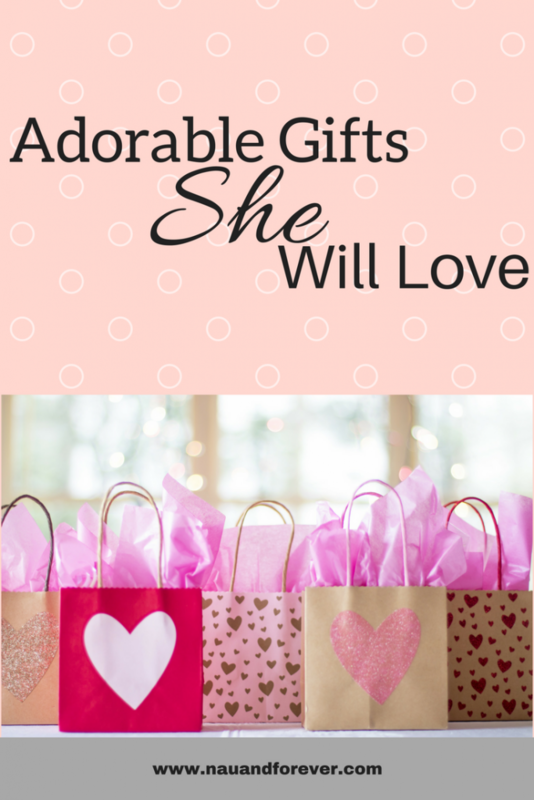 Check out this list for gifts she will LOVE! This wine glass is so cute! Perfect gift for the peanut butter lover! 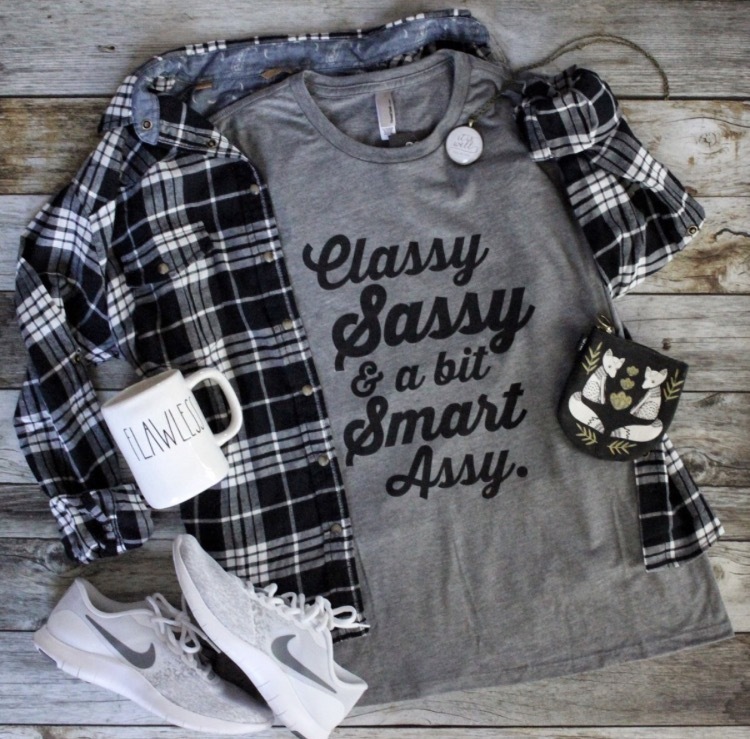 This planner is perfect for the “goal diggers” in your life! How fun are these tassel earrings? I LOVE this blanket scarf! Who wouldn’t want to cozy up with this beautiful throw? These slippers are so cozy! I think we all have one of these friends! These shades are a great gift! These suede tech gloves are awesome! No need to take your gloves off to use your phone. 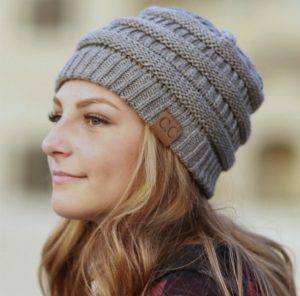 How adorable is this beanie? I’d love for you to share this with your friends!